Effective digital marketing can provide a challenge for many companies. The number of websites online has nearly quadrupled from just over 200 million in 2010 to almost a billion by 2014. This incredible saturation means that even more people now compete for top spots on the search engine results page (SERP). Your business can compete and succeed with these people after you read how ppc works in this blog post. Google continues to change and update their algorithm. These changes occur in response to what customers want and their attempts to maximize the user experience. This can make it difficult for websites to earn the important top positions on the SERP, but we’re here to help. At the same time, no brand can afford to give up on an online presence. According to Accenture, 94 percent of B2B buyers report that they use the internet before making a purchase. MineWhat similarly reports that 81 percent of customers do the same. Brands that do not have an online presence will be missing for these customers. Fortunately, PPC can provide brands with the opportunity they need to grow the rest of their digital marketing efforts. When used correctly, PPC can work with organic marketing to build the company name. If you have not used PPC before, here is exactly what you need to know about how PPC works. You can see that the ads have a little green label next to the web address on Google. PPC ads can also have a place ‘retargeting’ people who visited certain sites in the past, trying to entice them to come back. For example, say you visited an ecommerce site and looked at a certain sweater for a while. You decided not to purchase it at that time. You may find yourself regularly seeing ads for that sweater on other websites or even on your social media pages. This is how PPC works: trying to get you to visit relevant websites. PPC platforms include the major search engines as well as social media sites like Facebook. Anyone interested in understanding how PPC works will need to become intimately familiar with Google Adwords. Adwords holds the place as the largest PPC platform. To understand how PPC works, you need to consider this platform. The ads appear on the Google search engine as well as on various Google properties. Google makes a considerable amount of revenue from their ads– about $22 billion according to their 2016 financial data. They work very hard to match the ads that appear on the SERP with the likely intentions of the person making the search. I-want-to-go, meaning that the person wants to go to a particular place. Most local searches fall into this particular category. I-want-to-know, meaning that the person wants to find specific information. I-want-to-do, meaning that the person wants to ‘do’ something in particular. In this category, think about people searching for ‘how-to’ queries. I-want-to-buy, meaning the person is ready to make a purchase. Google works to match up ads that best fit with the particular micro-moment. It also understands that different types of intent have different likelihoods of clicking on ads. A study by Wordstream, for example, found that for queries where people are likely to buy, the top 3 ad spots earned 41 percent of the clicks. The search engine then uses a type of internal auction to determine which ad specifically to show where. When you buy ads, you bid on particular keywords. The bid describes the amount of money you will be willing to pay each time someone clicks on that ad. Popular, high-value keywords will naturally require higher bids than other, less-popular, keywords. In addition to your bid, Google will then look at the quality and value your ad offers. This will determine your place in the auction. When an appropriate search arises, the auction will determine if your ad wins a spot on the page. The search engine runs through this process countless times a day– Google processes well over 3 billion searches every day. Once people understand how PPC works, it can offer a number of benefits for organizations. Let’s break down a few that you can take advantage of in your own campaign. Benefit 1. Value. According to Google’s own internal research, advertisers earn about $2 for every $1 they spend on Adwords. Remember that Google processes billions of searches everyday. It is also the most prominent search engine in the United States. Therefore, a well-targeted ad has the potential to bring considerable traffic and ROI for your organization. Benefit 2. The ability to test keywords. Although organic marketing does not cost very much at the start, the way paid marketing does, it does require considerable time and resources. Brands that want to build a strong online presence know that they need to target the best keywords for their organization. They must build a presence that will allow them to take advantage of the traffic from the SERPs. It is possible, however, for brands to mistakenly identify keywords to target. They could select keywords that draw people unlikely to convert or engage with their website. PPC allows brands to test their target keywords at the beginning before they invest all of their time and resources on gaining the high rankings on the SERPs. They can use ads to draw crowds of people searching for that specific keyword and thus see how well this particular population engages with their site and converts. If the traffic they gain works well for their organization, they can then amplify their organic efforts. If the traffic does not convert well, they can move on to the next keyword without having wasted their time. Benefit 3. Increase visibility. Google continues to adjust the layout of their SERP to try and improve the user experience. Back in 2016 they removed the ads that once appeared along the side of the organic search results. They also increased the number of ads that could appear above them. In several cases, as many as four paid listings can appear before the organic listings begin. For many screens, this will push all of the organic listings down below the fold. This means that users have to scroll to be able to see them. The paid ads, therefore, have greater visibility and ability to draw clicks. Shockingly, a study by Wordstream found that nearly half of users could not even tell the difference between an ad and an organic result. Using a PPC campaign can ensure that your brand has the visibility it needs for important keywords. Benefit 4. Get your content in front of customers immediately. Organic efforts often require time before results can be seen. Brands that do not have the domain authority of major, established publications will find this particularly true. Fortunately, understanding how PPC works allows organizations to promote their content immediately, instead of having to only wait for the organic efforts to be successful. 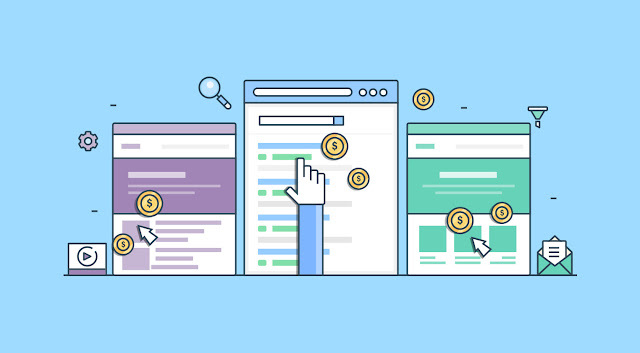 The paid advertising can also help attract attention and engagement for the particular page, which in turn can help boost it in the organic rankings. Building a successful PPC campaign requires considerable planning and forethought. Brands must be ready to strategize concerning their bids and budget. They will also need to think carefully about the content they post in the ad itself. The entire ad campaign will be built around the keywords targeted, so it is important not to neglect keyword research. This research will inform brands about the terms their targeted prospects will most likely search for. It will also provide information about the traffic they can hope to attract from an ad on that page. This research should also be complemented by checking how Google displays the SERP for that search term. Remember that Google attempts to understand the intention of users by looking at their likely micro-moments. Depending upon the micro-moment, you will see different types of content, such as the local 3-pack, video results, Quick Answers, and ads. The number of ads displayed will also vary. Checking the SERP layout for your targeted keyword will provide you with information about how many ads are displayed for that particular term. The organic search results will also let you know about the types of content people likely want to find. This can help you identify if this keyword targets your correct audience. As you develop your list of keywords, remember also to go specific. Long tail keywords are more detailed and target a more precise audience. Since the focus becomes smaller, the competition will also decrease. Less competition will therefore reduce the amount needed for a successful bid. This can help brands save money while also allowing them to focus on a more exact audience. Consider a lawyer, for example. A bid on a generic term like ‘lawyer’ or ‘divorce lawyer’ might not help a lawyer in a specific city very much. Bidding on ‘divorce lawyer in Houston’, however, will help narrow the audience to the people the brand actually wants to target without wasting money on clicks that will not benefit them. To build an even stronger list, also consider negative keywords, or terms that you do not want included on your search queries. An ecommerce store that specializes in formal dresses might want to bid on the term, ‘prom dresses’ every spring. They would likely not want their ad to show up, however, for people searching for ‘make your own prom dress’, as this audience will be less likely in wanting to actually make a purchase. Think if there are any terms that you do not want to appear in your search results. Think about other uses for terms in your keywords, words related to job searches, and other indicators that people will not fall into your target audience. Once you have a strong keyword list, the next step will be to craft your actual ad. Take advantage of all the space Google offers you to boost your visibility on the page. Write copy that engages people and encourages those who have searched for this term to click on your ad. Consider again the intentions of the people likely to search for the term and what they want to find on the SERP. For local search results, as an example, people often want to find contact information for businesses. This is why Google features contact information and maps in their local 3-pack, helping people navigate to the business they want. Including some contact information in your ad allows you to similarly answer the need of this audience. A person making an ‘I-want-to-buy’ query, on the other hand, will want to see information about products and prices. Including this information in your ad can again help you appeal to the audience. Now you should understand how PPC works, the value of a PPC campaign, and how to create a successful one for your organization. You now want to address integrating this campaign with the rest of your digital marketing efforts. When PPC and organic marketing are used together, they can create a strong digital presence. This presence will allow you to establish your authority and draw in customers. Integrating these two aspects of your campaign, however, remains critical. You want them to work together to make sure customers find you at those important moments in the buyer’s journey. Here are a few ideas to get started. Idea 1. Share keyword data from both campaigns. The keyword information you gather to build your list for your PPC campaign can help your organic efforts and vice versa. Gather information about how well people respond to your PPC campaign ads. This includes looking at how many people click on the ad compared to how popular the keyword is.You also want to see how well the people who land on your site respond to your brand. Do they visit other pages on your site? Do they fill out forms on landing pages? Do they become return visitors? This information will let you know if the keyword offers value. You can then start building organic campaigns around the same word. The same ideas work in reverse. If you rank well organically for a keyword that brings you few leads and little ROI, you will know there will be little value in creating a PPC campaign for that word. Idea 2. Use PPC to target keywords that challenge you. Every business has keywords that provide immediate value to them. Unfortunately, many of these keywords also become highly competitive. For brands that struggle to rank for these words, PPC can be the answer. Use organic efforts to create quality, targeted content for the challenging keywords. The PPC campaign can then immediately push the company to the top of the list, over rival companies you struggle to outrank. PPC and organic together will establish the brand in the space. Idea 3. Coordinate campaigns for specific locations or times of the year. Many industries have certain seasons, locations, or times of the year when their products will be more popular. Developing campaigns for them can be a challenge, however, unless you use PPC and organic together. Use organic marketing to create content targeted towards the specific population. Then use PPC to launch ads that reach those most likely to respond to the campaign. Brands need to use a variety of platforms and channels when they want to build themselves successfully online. The intense competition online today makes it a challenge for many businesses to rank highly on the SERPs. Understanding how PPC works can make it possible to gain the attention you want. Consider the benefits that this form of marketing has to offer and see how you can put it to good use.